We are a full service window coverings firm that specializes in motorized, automated window coverings. We carry premium brands in an effort to provide the very best products and services that the industry offers. We have been leaders in this segment for 10 years and in business for 25 years. We work with home owners, architects, interior designers, and AV professionals to execute your vision for the project. Cloth Studio makes exceptional soft goods to compliment every interior. From delicious pillows and bedding, remarkable window coverings to unique upholstered furniture, our work focuses on simple clean lines, exceptional workmanship and the best textiles available in the world! We are committed to creating healthy clean functional interiors using textiles and materials with lower environmental impact and designed to be used and well loved for many years. Our products will improve your life. Universal Blinds Canada is second generation, custom window treatments company with over a 20 year history in blinds, shades and home décor textiles. We provide an extensive range of services that are tailored to your specific project; from residential homes, commercial spaces and high-rise condominium residences including motorization and will work with you to create the custom window coverings that best suits the unique design of your space. But it’s just not only about choosing the right products. It’s about creating that feeling that makes your home special. It’s about the details. We not only make your home beautiful. We make your home functional. We believe in open, two-way communication – working hand-in-hand with our clients to create a home that is truly their own while at the same time bringing a wealth of decorating resources and creativity to every project. Whether you are decorating a single room or renovating your entire home, your project is approached from a unique creative perspective. It is diligently managed and meticulously executed, right from the first meeting through the final installation. 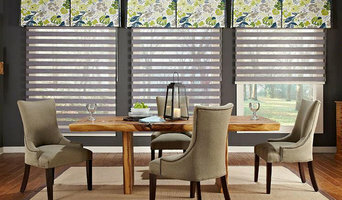 Specializing in Blinds and Draperies. Offering a full in home sales experience, Live Beautiful is here for all your window covering needs. Bringing samples to your home to help you decide on style colour and design, we help you make an informed decision both aesthetically and on an environmental and energy efficiency level. Plus we take care of all the measuring! Specializing in Hunter Douglas Products (offering Shade-O-Matic and others) Interior Design services. Colour and concepts, space planning, furniture and home décor sourcing. Window coverings. Budget Blinds offers homeowners the unique combination of free in-home design consultation, professional installation, expert measuring, and the best products and window coverings warranty in the industry combined with the type of personal service you can only get from a local, owner-operated business. Your Style Consultant can help you design window treatments that enhance the purpose of every room in your home. We're more than just blinds too! With our exclusive Inspired Drapes (iD) line of luxurious panel curtains and custom draperies, we can help you design drapes as standalone window treatments or to be layered over window blinds, shades or shutters. BB Commercial Solutions (BBCS) is our commercial window coverings brand. From restaurants to retail stores, hotels to schools, our BB Commercial Services solutions provide quality window treatments to any type of business. Since its founding, we at Budget Blinds Serving Bellingham have proudly served the local community by offering high quality and stylish window coverings for any occasion. Our goal is simple: to provide you with the best products and services in order to enrich your home environment. Our lavish selection of window treatments includes shutters, blinds, draperies, shades and even window film. Regardless of the window’s size or shape, you can rest assured Budget Blinds Serving Bellingham will have a customized window coverings solution ready for you. Call us today to schedule your free in-home consultation. 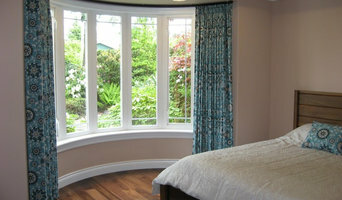 We’ll bring you the highest quality and most fashionable window coverings in Bellingham and surrounding areas. Looking forward to helping you beautify your home! Here at Budget Blinds we pride ourselves in finding the perfect window treatment for any application. Whether you're looking for blinds, shades, shutters or drapery, we're here to help. Whether you're a residential or commercial customer, we're ready to tackle your project. We pride ourselves in customer care and make sure every detail is covered to ensure that each one of our customers is pleased with the products and services we provide. Please...give us a call! Experience in Interior Design and Window Coverings since 1994 gives me an in depth view to helping you make your house- your home a reflection of you and your style. Hunter Douglas Window Fashions are the best in the industry and have the best warranties - for a reason - they are seldom used! Things don't go wrong! Hunter Douglas has products in every level of pricing which allows me to work with almost any budget. There are many child safe operating systems up to motorization and including home automation. Let me show you in the comfort and style of your home what the possibilities are to Transform your rooms! The right blinds and shutters can not only provide privacy for you and your family, but change the appearance of a room completely! Our team of professionals have over 25 years experience in Abbotsford and provide well-designed blind options for your windows that are expertly fit and installed. 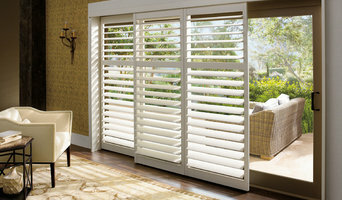 In addition to brand name blinds, Get Custom Blinds sells a variety of shutter options. Our faux wood venetians are especially popular, due to their traditional look and low-maintenance care. We offer affordable prices that almost every family can easily work into their budgets. If you have questions about the brands we work with or about specific products we carry, give us a call today. We are here to help!